So, I’ve been sitting on some Kreinik glow in the dark thread for a while now. (I had mentioned that I wanted to try some and @Kreinikgirl was kind enough to send a sample of it to me.) But I was waiting for the right pattern to come along and finally, last Friday, I found it over at Hugs Are Fun’s Free Pattern Friday post. I managed to plow through it in a weekend which is pretty much unheard of for me, but I had some, ahem, awesome people to keep me company while I stitched the days away. The glow in the dark thread was a breeze to work with. (Much better than its DMC counterpart, but it is, like I said on Twitter, noisy thread.) And, despite it being practically impossible to photograph, it glows really well. 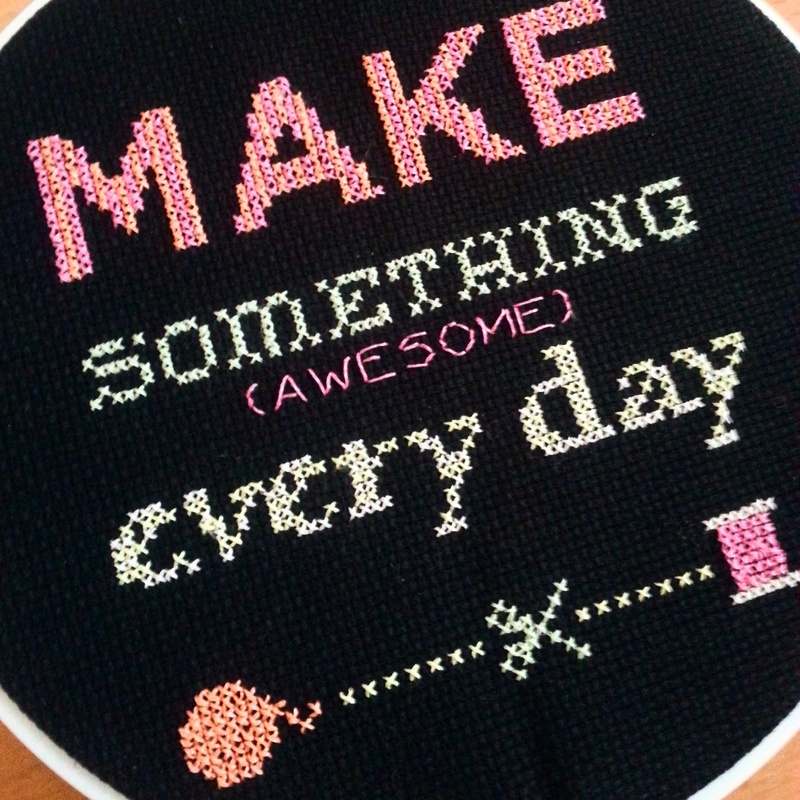 So, if you’re looking for a quick project to inspire you to make something (awesome) every day, go download the pattern over at Hugs Are Fun. And if you’re looking for some bright, happy glow in the dark thread, go to your local craft store and snag some Kreinik thread. This could be one for my Smalls list! thanks for the free chart, I really like it! and great job with the GITD thread!